Miriam Makeba (born Zenzile Miriam Makeba; 4 March 1932 – 9 November 2008), also known as Mama Africa, was a South African singer, songwriter, actress, United Nations goodwill ambassador, and civil-rights activist. Associated with musical genres including Afropop, jazz, and world music, she was an advocate against apartheid and white-minority government in South Africa. Miriam Makeba had a brief and reportedly abusive marriage when she was 17 years old. Out of that marriage came her only child, this was in the 1950s. In the mid 1960s she was married to late musician Hugh Masekela. Miriam Makeba's only child, Bongi Makeba, died during child birth in 1985. At the time of her death, Miriam Makeba had to grandchildren, Zenzi Lee and Lumumba Lee. 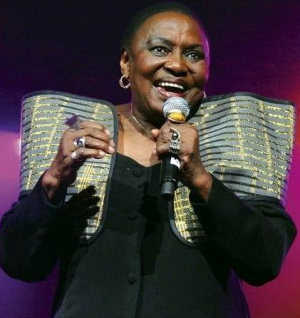 Miriam Makeba died of a heart attack on 9 November 2008 in Castel Volturno, Italy. She had travelled to that country to perform at a concert for Roberto Saviano, a writer threatened with death by the Mafia. Miriam Makeba had reportedly performed for about an hour when she fell ill and was transported to the clinic in Castel Volturno where she suffered cardiac arrest. This page was last edited on 19 February 2019, at 22:07.